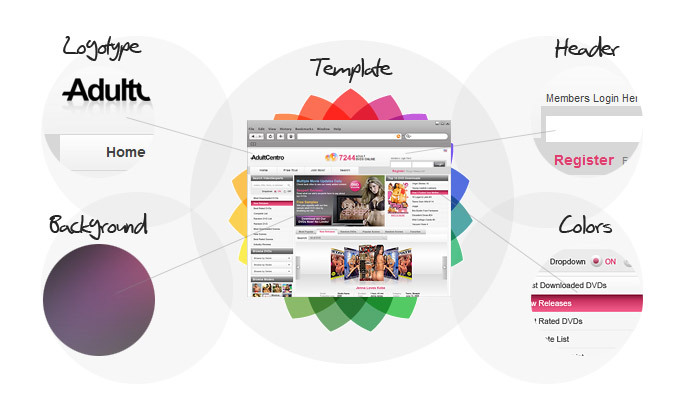 AdultCentro makes the process of design customization a breeze. We offer 10+ ready-to-use templates that were created by AdultDesign.com´s award-winning team of professional designers. You also have the option of modifying the color scheme of each template, as well as the template design in greater detail if desired. Uploading your logo, header and background gives the site your own identity and the selection of content for publishing from AdultCentro´s massive collection of 10,000+ titles puts you in control of a huge wealth of content for a low monthly outlay. - get a quote for custom styling.